An assemblage of dark green bottles of extra-virgin olive oil – each from different domaines as olive estates are called in Tunisia, are on display inside the hotel conference room in Sfax, a coastal industrial city and the center of Tunisia’s olive oil production. These bottles represent Tunisia’s hope to create a better future. Seven years after Tunisia’s sweeping revolution in 2011 ended a decades-long dictatorship, production of high-quality extra-virgin olive oil has become a symbol of renewal and rallying call for this pioneering North African nation struggling to keep a fledgling democracy and weak economy on course. It’s a course made even more precarious after terrorist attacks against tourists and presidential guards in 2015 made Tunisia a no-go land for many tourists. The setting for the bottles on display is a forum at the second edition of the Olive Festival of Sfax inside a hotel called Les Oliviers Palace. This elegant colonial-era hotel is perfectly named for the occasion: The Palace of Olive Trees. In the past decade, Tunisian olive oil makers have evolved from being producers of cheap bulk olive oil for export to Italy and other major markets (where Tunisian oil was found by investigators mixed with other oils and fraudulently labeled and sold for massive profits) toward creating and celebrating their own brands. This transition is now openly being called a “revolution,” as the New York Times did in 2016. “There are some good oils down here, and people don’t know it,” said Karim Fitouri, an energetic 45-year-old olive oil maker and honorary president of the Sfax festival. His brand is called Olivko. Tunisia was indeed valued by the Roman empire, especially as a land for the cultivation of olives and wheat, mighty pillars of that empire. Oil wealth, for example, helped build a massive amphitheater in the arid plains near Sfax at today’s El Jem. It was an elaborate construction that rivaled the coliseum in Rome. The importance of olive oil in Tunisia cannot be overstated. It is the nation’s No. 1 agricultural export, valued at $374 million in 2016, according to World Bank data. What’s now considered more important are olive oil’s more elusive qualities: The hope is that Tunisia can gain a global reputation for quality through its olive oil. How? Tunisians are touting their olive oil as the best in the world — a statement repeated time and again to an Olive Oil Times reporter touring Tunisia to better understand the nation’s olive oil industry. Tunisian oil makers are pointing to recent studies by Japanese experts who say they found very high polyphenol levels in Tunisian oils. Polyphenols are natural chemical structures considered good for health due to their qualities as antioxidants. “Antioxidants: It is the only true value for the health of olive oil,” Douss said. One theory is that Tunisian trees may develop more polyphenols due to Tunisia’s tough semi-arid climate. Another selling point is how Tunisia’s oils tend to be produced organically. Due to Tunisia’s aridity, pesticides and herbicides are largely unnecessary. In addition, Tunisia is poor and farmers pick olives by hand. “Tunisia is most importantly the world’s first producer in organic olive oil and traditional olive oil,” said Zena Ely-Séide Rabia, a 34-year-old Tunisian oil maker who sells high-priced boutique oils in Europe. Her brand is called Ely-Séide. I was invited to taste numerous Tunisian olive oils, and found they naturally ranged in quality and taste. There are lots of excellent oils, and a lot that are mediocre and even bad – just as you will find in other countries where olive oil is made. Tunisia’s push into exporting bottled oil is on full display at a factory near Sfax owned by the CHO Group, a major producer that exports its brand Terra Delyssa to supermarkets in the United States, Canada and Europe. Two bottling lines were running in the modern, high-tech factory. Last year it produced more than 8 million bottles and tins for export, the company said. 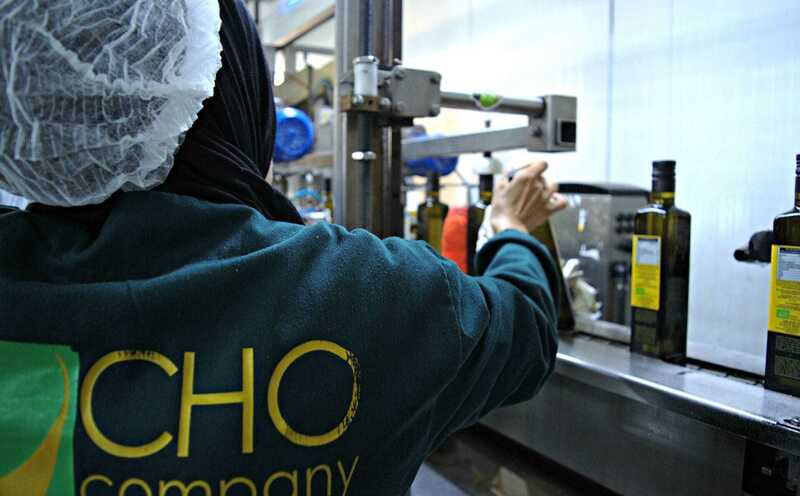 “This is going to Germany and this other line is going to Canada,” said Mohamed Walha, a CHO quality manager, as bottles of Terra Delyssa were labeled and packaged. Chemlali and Chetoui are the two major olive cultivars native to Tunisia. Chemlali is a sweet-tasting, golden-green oil grown in central and southern Tunisia while Chetoui olives are common in the north and make a darker and more pungent oil. 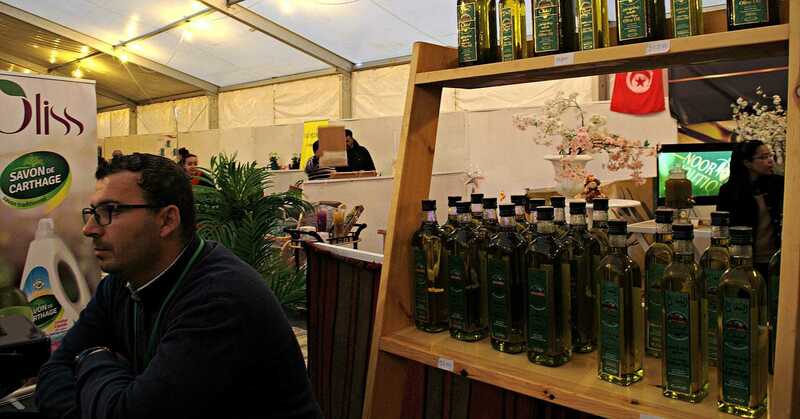 Boosting exports was the theme of the Sfax festival this year, where producers put their oils on display inside an outdoor pavilion. “We want to do a high-quality, affordable oil,” said Hazem Haddar, commercial director at the Noor Oil Company. His company is looking at selling in Japan with a label still in the making, perhaps featuring an image of Syphax, an ancient king. Efforts to break into international markets are multi-faceted and are led both by private companies and government agencies. For example, the Tunisian agency dedicated to the oil sector, the Office National de l’Huile, is sponsoring for the first time a competition to find the country’s best extra-virgin oils. Meanwhile, the Ministry of Agriculture is planting 10 million new trees in northern and central parts of Tunisia in a bid to help impoverished rural areas and expand oil output. The trees will be planted in areas “invaded by terrorists,” said Agriculture Minister Samir Taieb in an interview at his office in Tunis. His office was adorned with painted scenes of camels, the desert and horse riders. “The government wants to give life to these regions by planting olive trees,” he said, speaking through a translator. “Terrorists have to leave these regions,” he added. 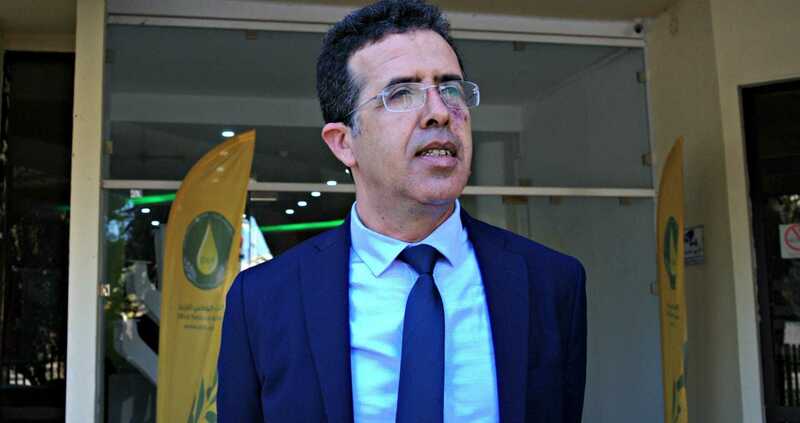 “Tunisia has made a lot of progress in what concerns quality olive oil production,” said Chopki Bayoudh, the director general of the Office National de l’Huile, speaking through a translator. The next step is to expand Tunisia’s bottling for export, he said. That’s the goal: The next time you go shopping for olive oil, Tunisia’s olive oil makers want you to see more of their brands. They want those dark green bottles on display at the Palace of Olive Trees to be sitting on shelves around the world. “Quality itself is not enough to promote exports,” said Polymeros Chrysochou, a marketing specialist at the Aarhus University in Denmark. He spoke at the Sfax conference. And Tunisia is new at this. Until 1994, the Tunisian government did not allow private exports of oil and held a monopoly over the sector. In a recent report, the World Bank said Tunisia had done a poor job of improving exports. “No effective efforts have been made to develop exports and promote higher value-added products, and the overall level of primary olive oil production, compared to its potential, has been lagging,” the World Bank report said. One advantage Tunisian oil has is that it does not have a tainted reputation, Bayoudh said. Chrysochou agreed and said the lack of familiarity with Tunisian oils can be an advantage because they start with a clean slate. “Although the lack of knowledge forms a barrier, I see it as a great opportunity,” he said. He used an example: It’s easier to believe the honesty of someone you’ve just met than change your mind about a person who’s been dishonest with you in the past.